The property of St. George’s Church in Pungoteague is comprised of the church, parish house, memorial garden and vegetable garden. On St. George’s spacious grounds is a large cemetery with room for expansion. Both churches and parish houses are handicapped accessible. 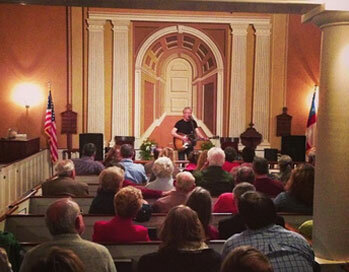 The first of the two present-day churches was built in Pungoteague in 1676. Though the original is long gone, several wooden structures came and went before the first brick church was built in 1738. St. George’s church suffered damage during the Civil War. By war’s end, little remained of the original church but a roof and bare walls. In 1880, bricks from the damaged wings were used to convert the remaining structure into the church that stands today. Fortunately, the silver communion service given by Queen Anne has survived through the years and is still in use. St. George’s was added to the National Register of Historical Places in 1970. 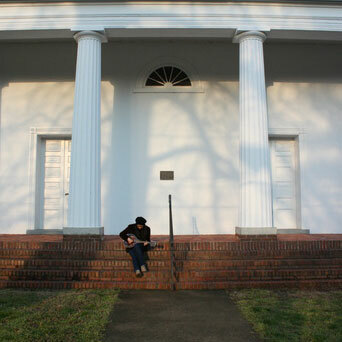 It is the third oldest church in the United States and the oldest house of worship standing on Virginia’s Eastern Shore. The similar brick Parish House is adjacent to the church. New renovations include a new HVAC system, energy efficient double hung windows along with new carpet. The Memorial Garden located between the church and Parish House was established in 1965. The focal point of the garden is a plaque dedicated to Lt. Edmund B. Scarborough, killed while serving in the Vietnam War. The brick walkway, flagpole and St. Francis statue add to the tranquility of surrounding shrubs and flowers. The Vegetable Garden was developed three years ago to help provide produce for the Dos Santos food pantry. It has been maintained by students in the mostly Latino after school tutoring program and St George’s master gardener and member volunteers. We have also received tremendous assistance from other student and church work groups from areas as far away as New Hampshire. 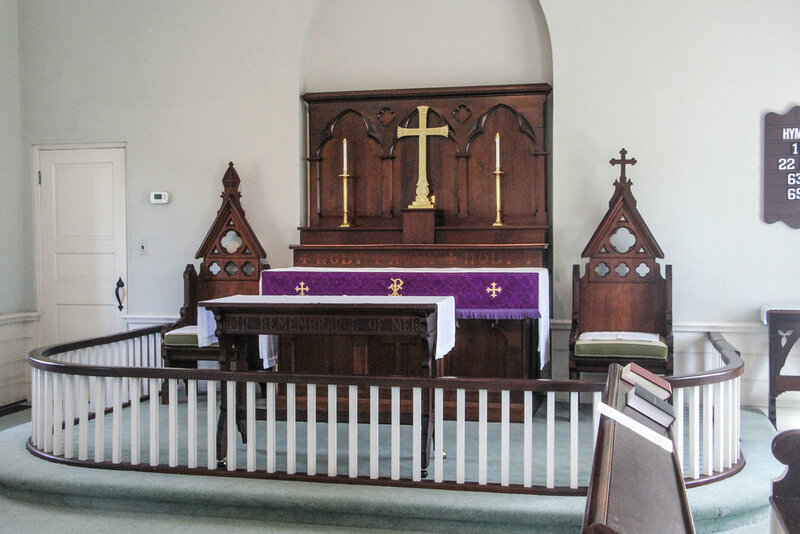 The property of St. James Church in Accomac (originally named Drummondtowne & founded in 1664) is comprised of the church, parish house, rectory and office in spacious surroundings. Both churches and parish houses are handicapped accessible. St. James, the ‘new’ church was organized in 1763, a century after the parish’s founding. The first structure was brick and located roughly a mile southwest of the present one. It was demolished in 1838, its materials used to build the current one. A Greek revival facade was added to the exterior, with four Doric columns on the high portico. The interior features extensive trompe l'oeil painting said to be the only surviving example of such decoration from that period. The vaulted ceiling features a blue medallion and symbolic flowers and foliage resembling tracery. A balcony extends across the back of the nave. The bronze church bell, cast in Spain in 1816 is inscribed: Anno Domini 1816 Jesus Maria I Jose; and is tuned to Middle C. The congregation still receives communion from a silver set given by Queen Elizabeth I. The church was listed on the National Register of Historic Places in 1969. 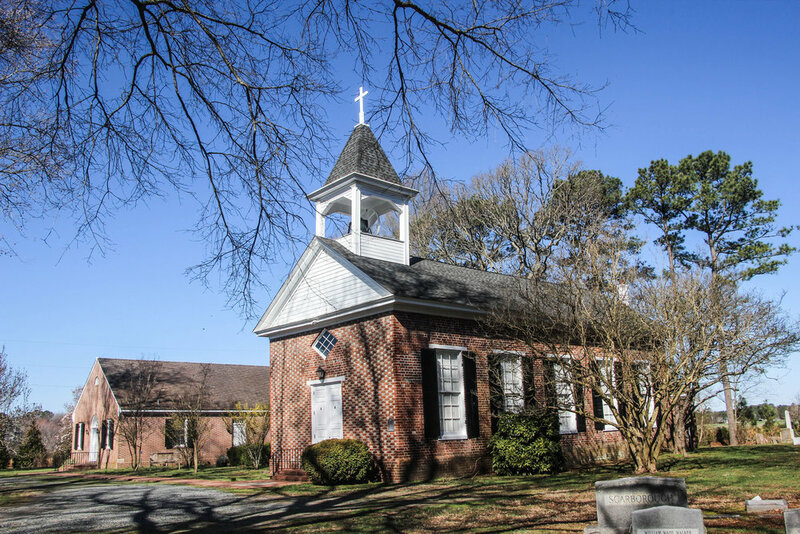 The brick Parish House is adjacent to the church, and has a fully equipped kitchen, carpeting and HVAC system. The rectory is a 19th Century colonial with three stories and a basement. Dr. Richard Bayly built this imposing manor house in 1801. The brickwork throughout the big-house-colonnade-and kitchen sections is of fine quality and the interior, including handsome mantels, is significant. 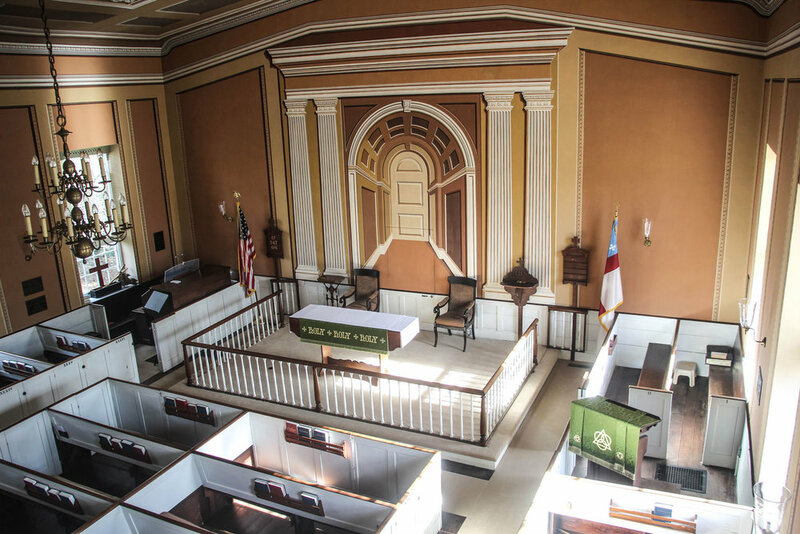 This building was used as one of the models by architects who restored Colonial Williamsburg and the cooking fireplace resembles the one in the Governor's Palace kitchen. The house was used as headquarters for the Accomack unit of the Union army from 1862 to 1865. The house which has both architectural and historical importance was purchased by the vestry in 1885 and has been used as the minister’s residence since. It features hot water baseboard heat with newly renovated electrical upgrades including central air. 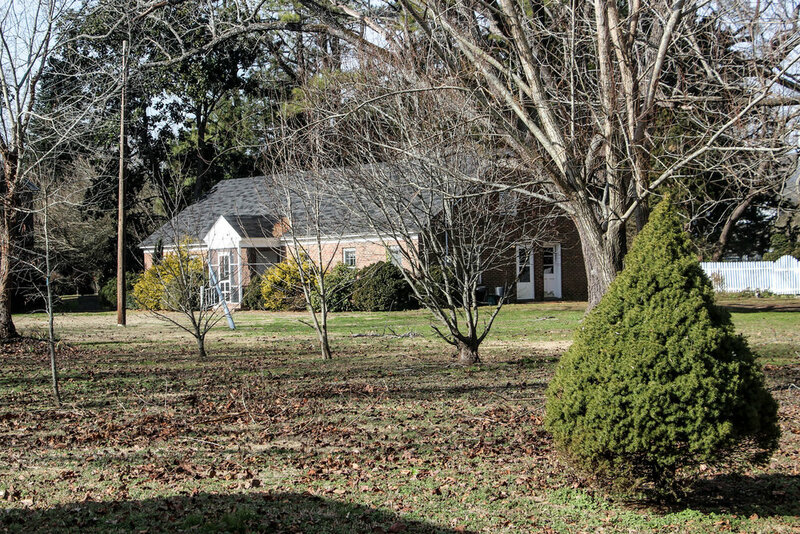 The present rector’s office, a one-room structure, was built for a doctor’s office around 1844 and has had many uses and is part of the Eastern Shore’s history and architectural heritage. It is a one-bay house with a gable roof and brick chimney with structural features brought to the Shore from Medieval England. While the Union Army was headquartered in the main house, this small structure was used as a telegraph office for the Federal troops. 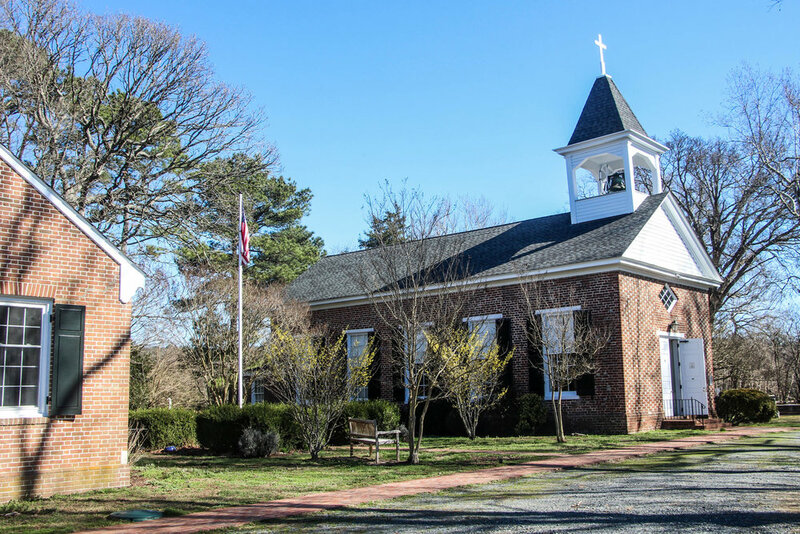 The rectory and office are important pieces of our Eastern Shore heritage and the pride of the congregation. Both churches and parish houses are handicapped accessible.